Separated here from Camponotus solon as the major being smaller and somewhat darker, the media and minor workers also primarily dark . 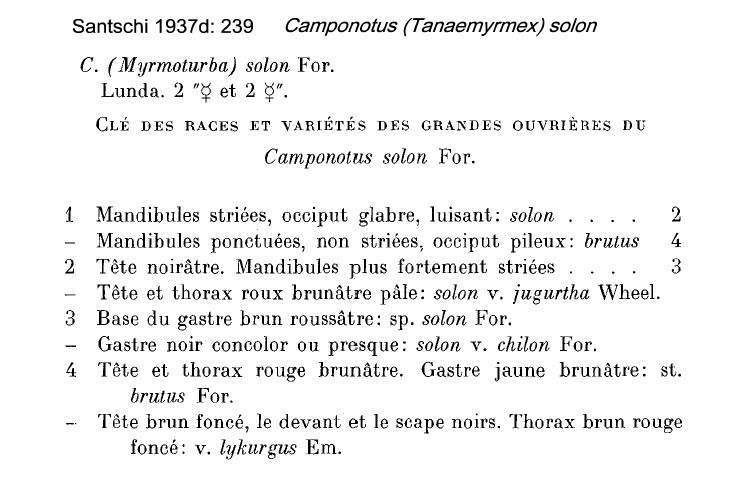 Listed (as Camponotus solon) as a forest species able to live in degraded zones in Ivory Coast by L関ieux & Louis (1975). They also reported it as being strictly nocturnal with peak activity around one hour after sunset (1900 hours). 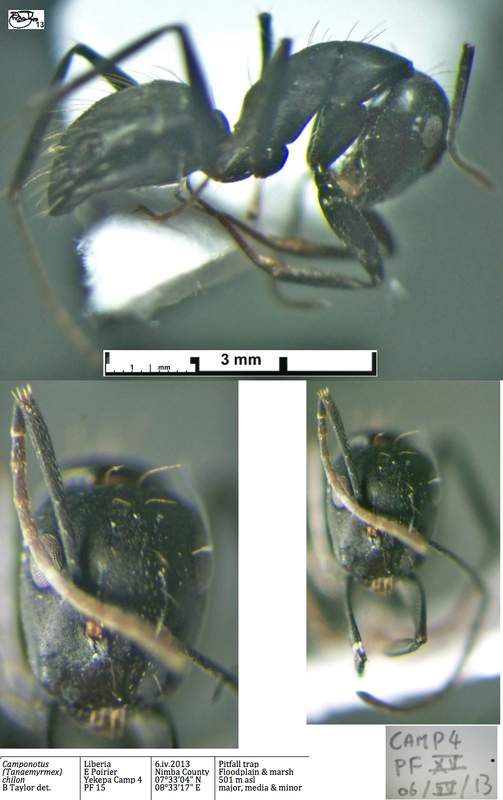 The photomontage of the type major worker is collated from http://www.antweb.org/specimen.do?name=casent0910267. 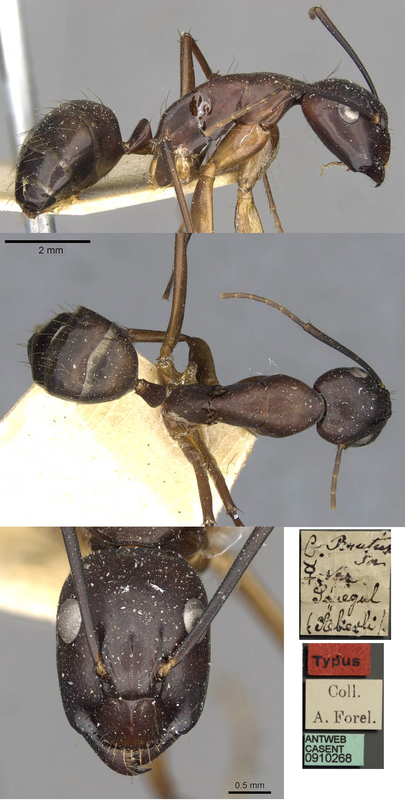 The photomontage of the type minor (possibly media) worker is collated from http://www.antweb.org/specimen.do?name=casent0910268. The photomontage is of a major worker from Liberia, Yekepa Camp 4; collector E Poiriet (Camp 4 PF XV). The photomontage is of a media worker from Liberia, as above. The photomontage is of a minor from Liberia, as above.